> What Makes a Great Trial Lawyer? What Makes a Great Trial Lawyer? We asked attorneys as well as other legal professionals throughout the United States, What makes a great trial lawyer? We hope you enjoy their responses as much as we did. Joe Akrotirianakis was for several years a faculty member at the U.S. Department of Justice's National Advocacy Center in Columbia South Carolina, where he taught trial advocacy to federal prosecutors from all over the United States and at times prosecutors in emerging legal systems from other parts of the world. The first two slides of his presentation were titles "Some Thoughts on Trial Lawyering." Of those two, the first was a quote from a law school professor of his. It read, "Trial lawyers are the fighter pilots and emergency room surgeons of the law." The point to his students was, "you don't always have to be the most genius of lawyers to become a good-if-not-great trial lawyer, just as you don't need to be the most brilliant of all physicians to become an emergency room (or perhaps battlefield) surgeon. Being smart is necessary but not sufficient and, if you are going to be a "fighter pilot of the law," what is required for success is that have a particular type of intestinal fortitude, such that when things start exploding all around you (i.e., you've just lost a motion relating to an important piece of evidence, the opposing attorney is poking you in the eyes and kicking you in the shins, and the judge says, 'Bring in the jury! '), it can fall away like water off a duck's back and you can return to the lectern poised and professional." His second thought on "trial lawyering" is "like pugilists, the skill of a real trial lawyer is not best measured by how hard you can punch, but how well you can take a punch and then counter-punch. Your evidence will provide the force in your punch, in opening statement, direct examination, and closing argument - things that can, for the most part be plotted out in advance. At some point, however, you are going to have to take punches too (or there would have been a settlement rather than a trial). For me, the great trial lawyering part of it is a lawyer's ability to deliver the counterpunches of cross-examination, redirect examination, and rebuttal argument, where frequently the most significant pieces cannot be plotted out in advance. Dueling with a witness was described in a book I once read as "the ultimate confrontation theater;" a "gun fight in the street that leaves one person dying in the dust." If your profession is to try cases and you can't remain poised and counter-punch in the midst of things not going your way, you will find yourself the one lying in the dust coughing out your life. A trial lawyer is not "sugar and spice," but must be perceived as "all?things nice," which would include courtesy, civility and confidence. Like so many other endeavors in life, from science to sport, success begins and ends with meticulous preparation and attention to detail. The necessity of "burning the midnight oil," is neither an old wives tale nor a scare tactic fit for viewing as part of a reality TV show. The lawyer who labors diligently, to whom no fact is too obscure to attract his full attention, will begin to see patterns emerge from evidence held in common, that others will fail to notice. The facts are not the same to a diligent practitioner as they are to someone who is content with surface appearances. The trial lawyer must be an individual of imagination and keep in mind as he approaches his task the attitude of Sir Alexander Fleming, who gazed upon bread mold and thought it might be medicine. The successful trial lawyer will delve deeper, absorb apparent minutia and utilize his powers of observation more deftly that his less dedicated opponent. His assiduousness will result of his mastery of the court room, will gain him the respect, even admiration of his peers and the jury members, and it will more often than not result in triumph for his clients cause. A competitive nature is a necessity. The trial lawyer's fear of failure, of losing, will provide even more of an impetus than his satisfaction in winning. Fear is an acknowledged motivator and is more often than not the predicate to courage. Eloquence is a bonus which can add luster to all that came before. It is a weapon in the trial lawyers armory but it can take many forms and the lawyer who is immensely prepared is most likely to be eloquent in the jury's eyes by the manner in which he projects himself and the mastery of his facts, because by the time of the final argument, the facts have, indeed, become his personal possessions. Finally, know when to stop and sit down. Speaks clearly and simply. Understands the human condition. Motivates jurors to take the action the lawyer is suggesting. In fact a great trial lawyer is a supreme manipulator who possesses a solid knowledge of the law and Rules of Civil Procedure. A great trial lawyer is always well prepared, anticipates his opponents tactics and blunts them. A great trial lawyer is well organized and is a good delegator of responsibility. Passion and the ability to communicate the theory of the case in a crystal clear way so that the jury can reach no other conclusion. A great trial lawyer can simplify complicated, complex facts and legal principles into one coherent trial plan, and every question must be a step in building the theory of the case. I am a federal criminal defense lawyer in Philadelphia and have been trying criminal cases in the federal courts for over 30 years. 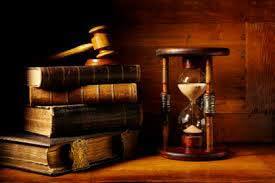 What makes a great trial lawyer is his or her ability to prepare a case early on. Meeting with the prosecuting attorney, witnesses, and conducting background checks is essential. To be a great trial lawyer you must master the skill of not taking anything personally, of conquering the rules of evidence and of finding a way to make a very difficult job appear effortless and easy. LawCrossing Fact #82: Users of LawCrossing find jobs more easily because its staff is diligent and determined to find jobs.